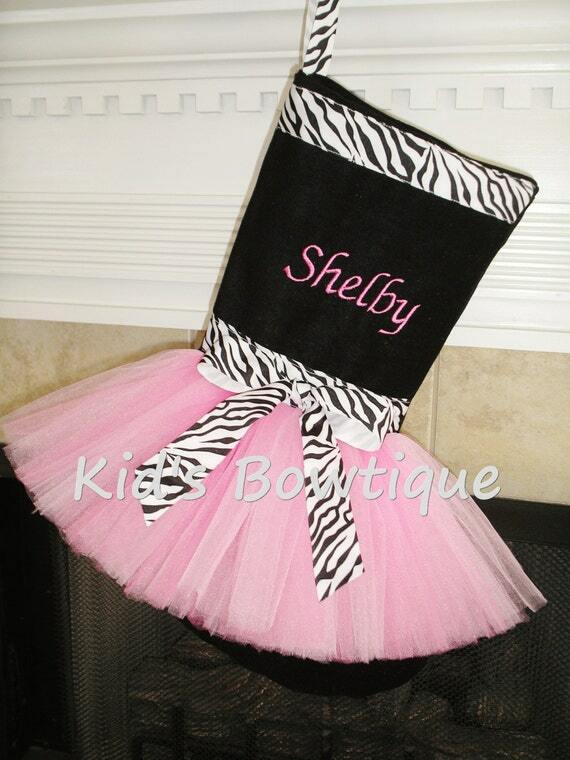 Kid's Bowtique has designed a unique monogrammed pink diva zebra ribbon Christmas tutu stocking. It is made of high quality black (or white) fabric. The Christmas tutu stocking is a nice large size, approx. 21 inches long and 11 inches wide at the "foot". A tutu (pink and hot pink mixed tulles) is added for uniqueness, zebra print ribbon for style, and embroidery in pink thread for personalization! The back is solid fabric.